Evelyn is an aquatic ecologist who specializes in algal biology. 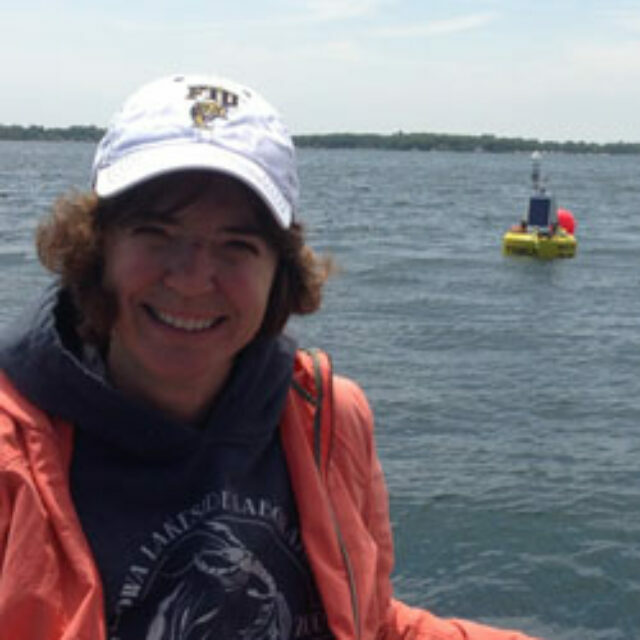 Her research focuses on interpreting drivers of environmental change through exploring responses in algal communities at a variety of temporal and spatial scales. Her laboratory is equipped for ecological and taxonomic studies of algae, and she is particularly interested in paleoecological studies of past change using diatoms. In the Everglades, Dr. Gaiser’s research focuses on the drivers of the distribution of benthic algae across the ecosystem and in comparison to other similar karstic wetlands of the Caribbean. She is lead PI of the Florida Coastal Everglades Long-Term Ecological Research program. She also conducts comparative research on algae in subtropical lakes in the context of the Global Lakes Ecological Observatory Network.